Ooty, the mesmerising hill station in the state of Tamil Nadu, presents tourists with wide range of holidaying options to each and everyone. Tourists can have a refreshing break amidst lush greenery, serene waterfalls, soothing lakes and luxurious accommodation. Ooty tour presents a perfect natural setting to spend some special moments with your loved ones. Be it with families and kids or with bunch of friends or with your partner, Ooty keeps each and everyone entertained. 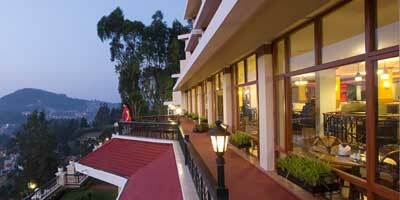 From Pune there are various kinds of Ooty packages catering to all kinds of tour plans. The distance between Ooty and Pune is approximately 998 km. The hill station of Ooty is connected via various modes of transportation such as airways, railways and roadways. The nearest airport is the Coimbatore Airport. While the nearest railway station to Ooty is Mettupalayam. For a perfect trip to Ooty, tourists can go via Ooty Pune packages and have a hassle free vacation. However, in order to be sure of an enjoyable vacation, it is advisable to go with reliable service provider that can promise timely and efficient services. Ooty Planet, which is an important division of Holidays DNA, offer tourists with a wide range of Ooty packages from Pune. Some of the kinds of Pune Ooty packages offered by us are Honeymoon packages, family tour packages, adventure packages, business tour packages and many more. And if you are particular about your trip and like everything to be as per your preferences, you can tell us! At Ooty Planet, we also present tourists with customised Ooty Pune packages. We believe in providing tourists with a memorable touring experience and thus assist them throughout their trip. Our highly qualified travel experts along with relevant Ooty Pune packages, also equip tourists with relevant information on various aspects of the hill station. We suggest our clients on the best time to visit Ooty, details on sightseeing commuting within the hill station, etc.